Peanut butter and chocolate covered popcorn, oh man, my new favorite snack. 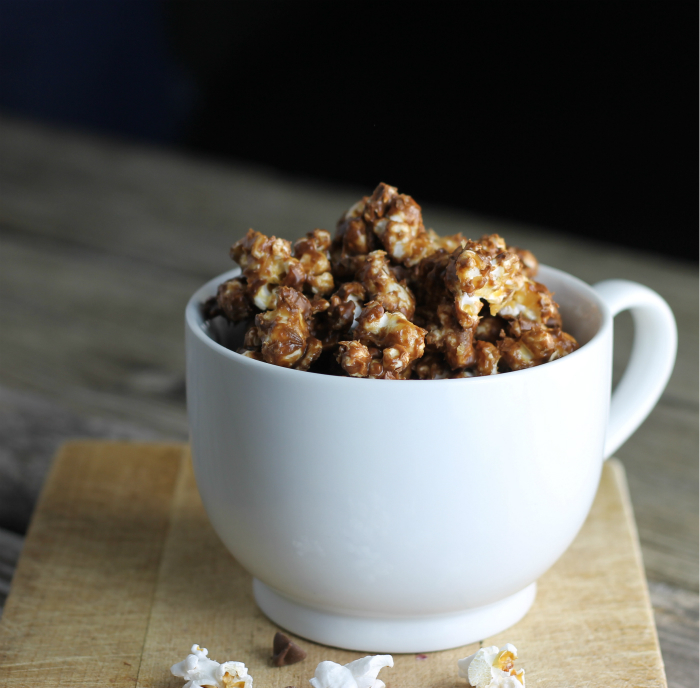 Skillet granola popcorn… two of my favorite snacks come together for one amazing treat. When our kids were little we did a lot of road trips. With Mike’s family in various parts of the country, we would pack the car up and we would go visiting. Those are fond memories for me and hopefully the rest of the family. When we traveled, snacks were always involved. There is something with road trips and snacks with my family. 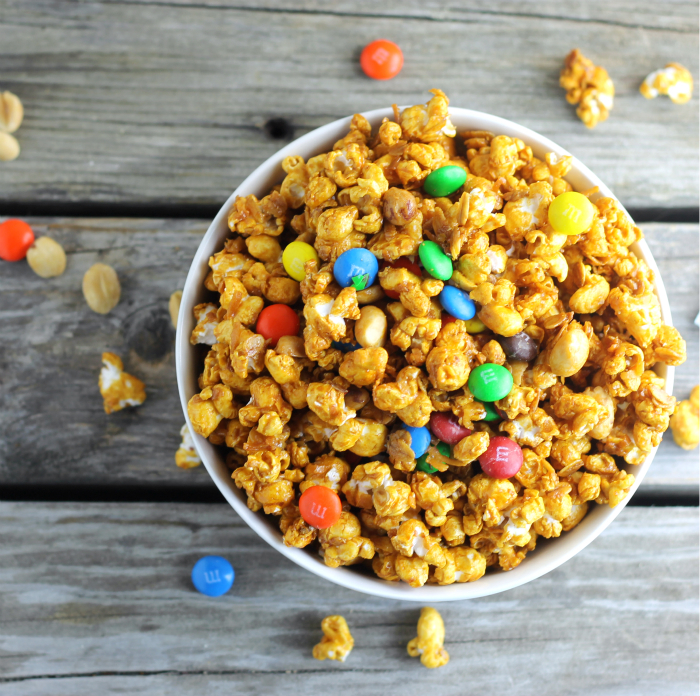 One of our favorite snacks was trail mix. The recipe that I am featuring today is not trail mix, but when I tried it I thought of the trail mix that I made years ago. 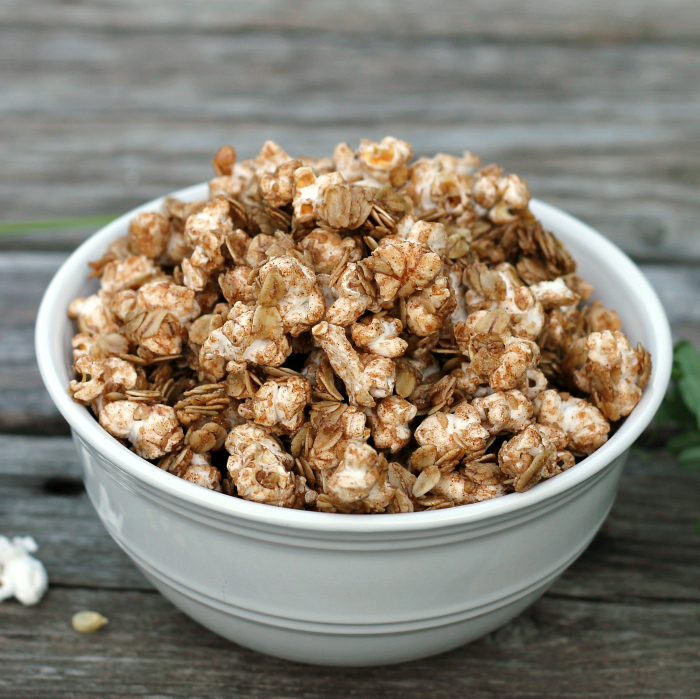 This is basically taking two things that I love snacking on and throwing them together. This one doesn’t involve the oven, so it is perfect for these warm summer days. Yep, it comes together all in a skillet on the stove top. I took my oats and toasted them a bit in the skillet with a bit of butter. Once that was completed I removed the oats from the skillet and added the honey, butter, brown sugar, and cinnamon and heated that until the butter melted and the sugar was dissolved. To my syrup mixture I added the oats back with some popped popcorn. 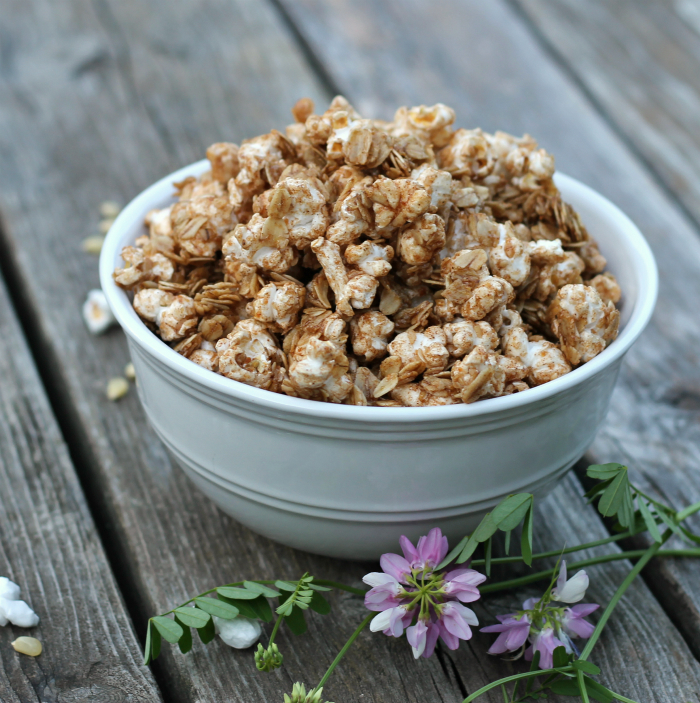 The oats and popcorn are tossed in the sweet syrup until they are nicely coated. Once the cooking time is done I spread the mixture out on a cookie sheet to cool. 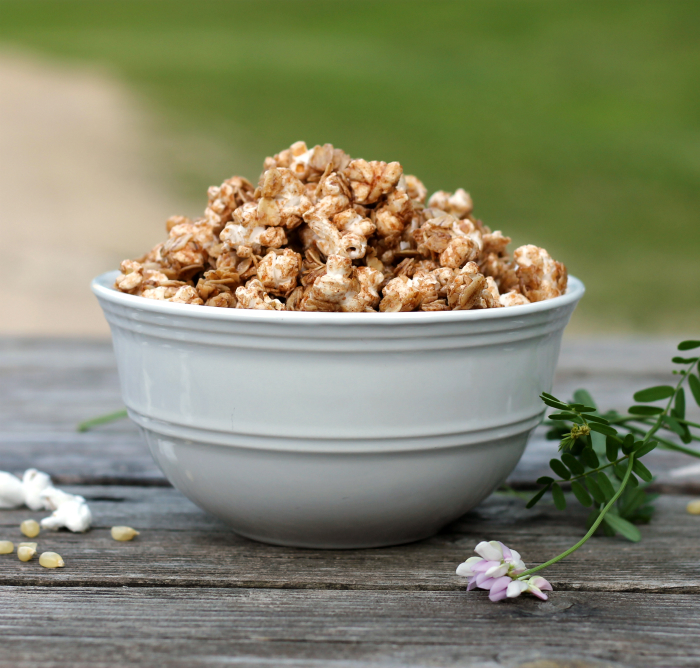 It’s kind of like eating caramel corn, but with granola. 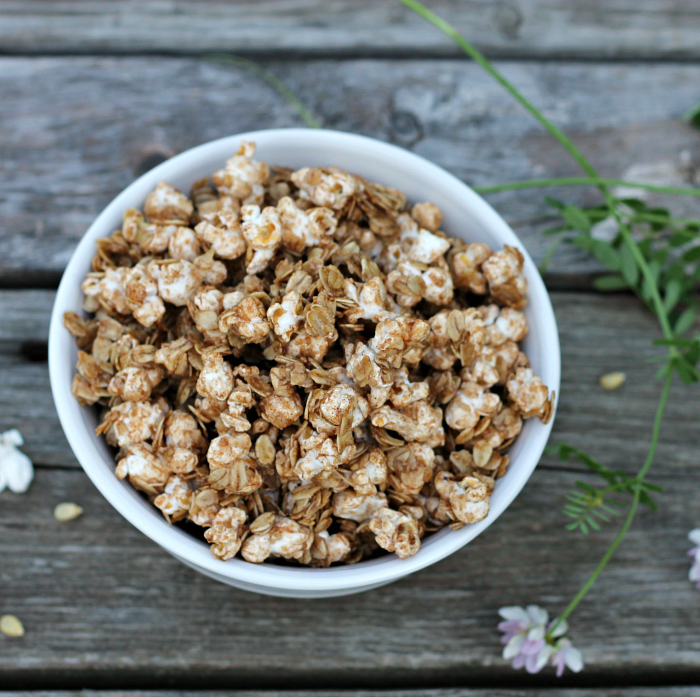 The perfect summer snack or for anytime of the year.